My first work of nonfiction was released by my publisher, St. Martins Press, on March 17, 2015. Audible has purchased the audio rights to the book and it has also been published in Italy and Japan. Sony Television has optioned the book. For over 50 years I have studied this fascinating subject and after taking early retirement I became seriously involved in researching what I like to refer too as the flying saucer phenomena. I use the term "flying Saucer" because I find UFOs all inclusive. To be more precise it is generally accepted that 95% of all UFO sightings are something prosaic and it's the remaining 5% that cannot be explained. The problem with this is in the statistics. If these statistics are presented to the casual observer the natural thought would be if more research is done on the remaining 5% they too could be explained. That is a false understanding. The 95% becomes 100% of prosaic sightings and the 5% becomes 100% of true flying saucer sightings. Of course flying saucers come in all shapes and sizes, not just saucer shaped. However, for clarity, flying saucer works well. 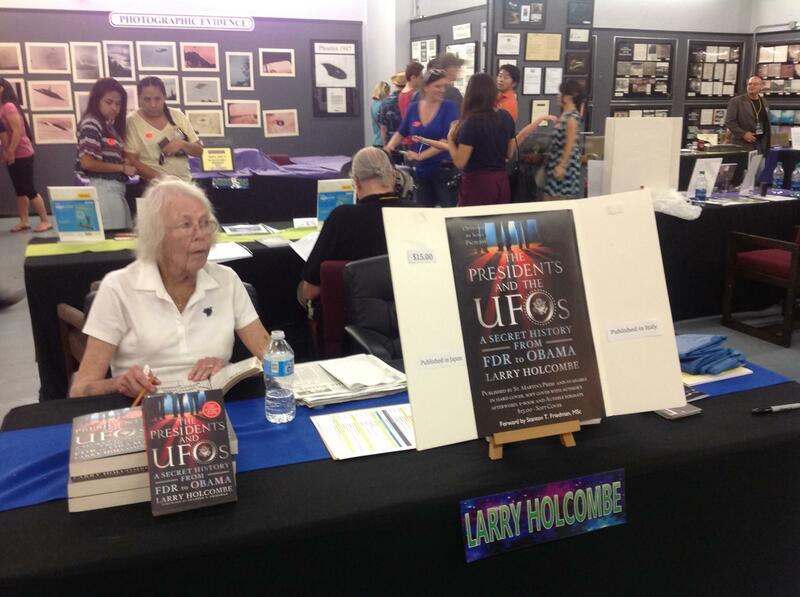 Alice at our table during the 2017 3-day UFO festival at the International UFO Museum and Research center. This was our seventh year as invited lecturer and author. 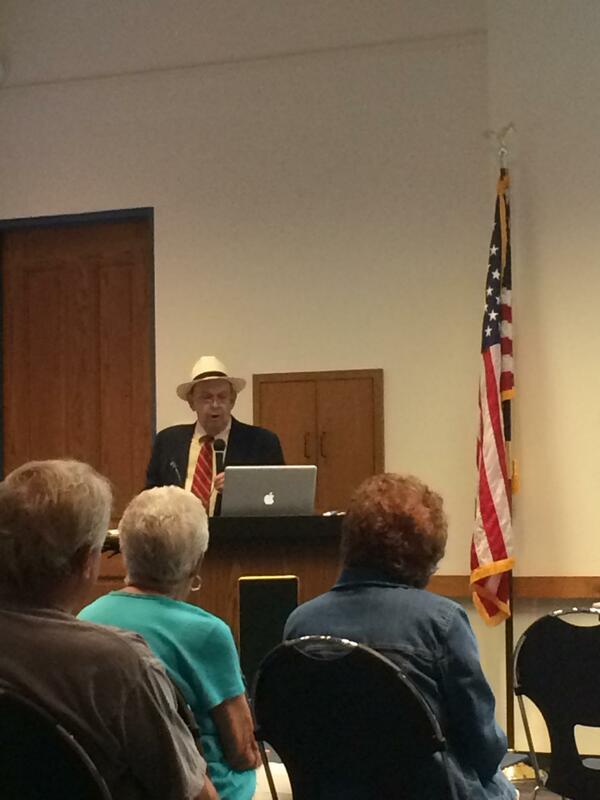 The museum is a tremendous asset to all who have a serious interest in the Roswell July, 1947 event, or UFO's in general and is worth a special trip. The Presidents and UFO's is now available in soft cover with the authors afterword. The foreword was written by Stanton T. Friedman, MSc. This web site is under construction. Please check back for updates and announcements.